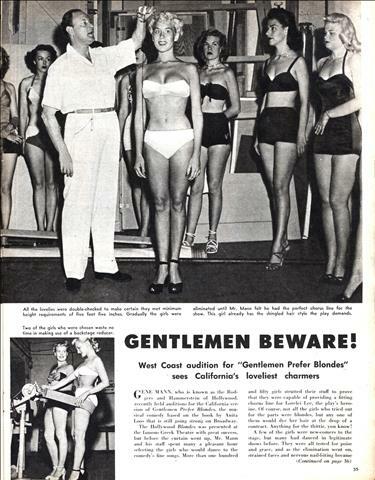 GENE MANN, who is known as the Rodgers and Hammerstein of Hollywood, recently held auditions for the California version of Gentlemen Prefer Blondes. 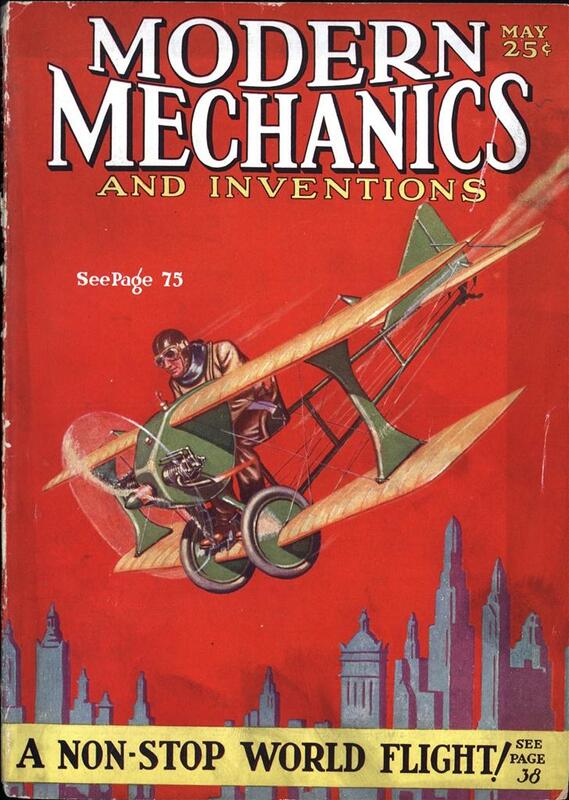 the musical comedy based on the hook by Anita Loos that is still going strong on Broadway. 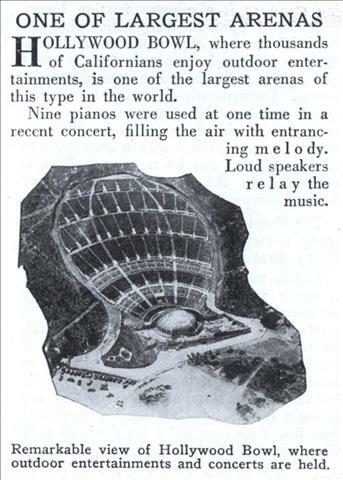 Hollywood bowl, where thousands of Californians enjoy outdoor entertainments, is one of the largest arenas of this type in the world. Nine pianos were used at one time in a recent concert, filling the air with entrancing melody. Loud speakers relay the music. What good is a program in a darkened theater during a show? 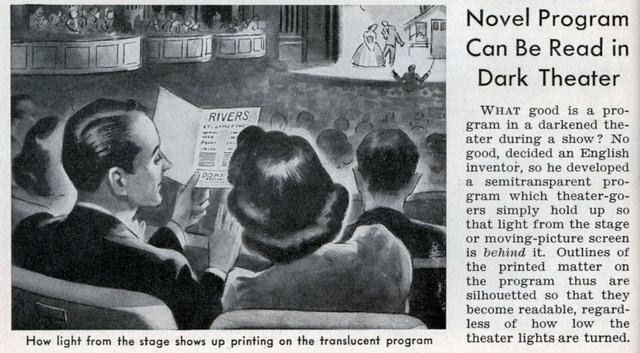 No good, decided an English inventor, so he developed a semitransparent program which theater-goers simply hold up so that light from the stage or moving-picture screen is behind it. Outlines of the printed matter on the program thus are silhouetted so that they become readable, regardless of how low the theater lights are turned.